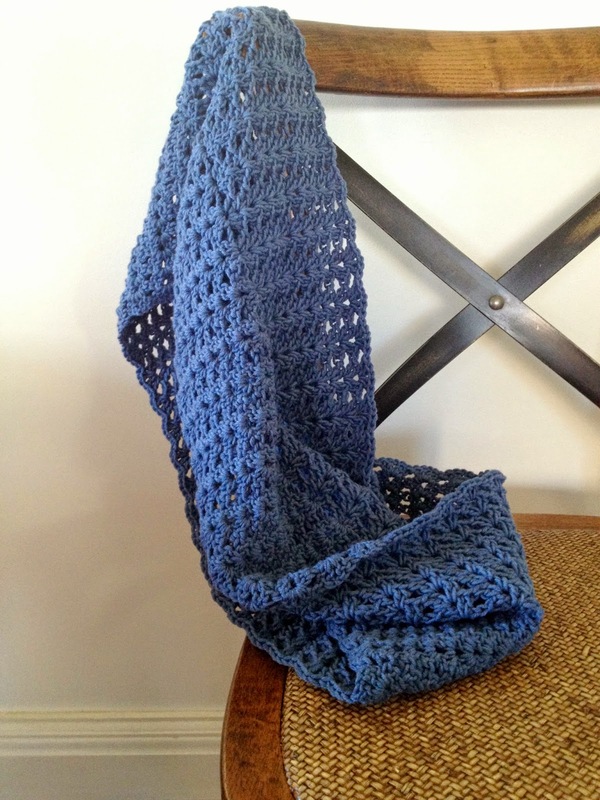 the rogue sparrow: On my hook - a twisted cowl. 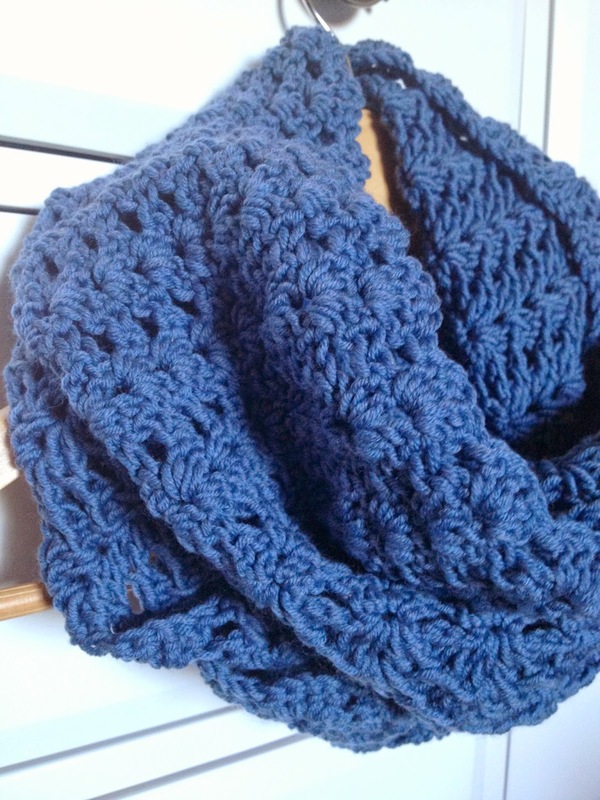 I finished this twisted cowl last week and I know I say it each time I crochet something, but I loved making this, it really was a joy to pick up and work on. I made it especially for my lovely sister-in-law who celebrated her 50th birthday yesterday. I loved sifting through the yarn at the local yarn store, picking out the colour I thought she would like, choosing the type of yarn, and browsing online for the right pattern. The pattern is a fan stitch and done with a 180 degree twist on a 5mm hook so it's nice and chunky. I absolutely LOVED the yarn too - a superfine Merino (Zara brand) which was incredibly warm and soft, just perfect for wearing around your neck. The photos really don't do the colour justice - it is such a gorgeous blue and suited her perfectly. What's been on your hook lately? Looks great. 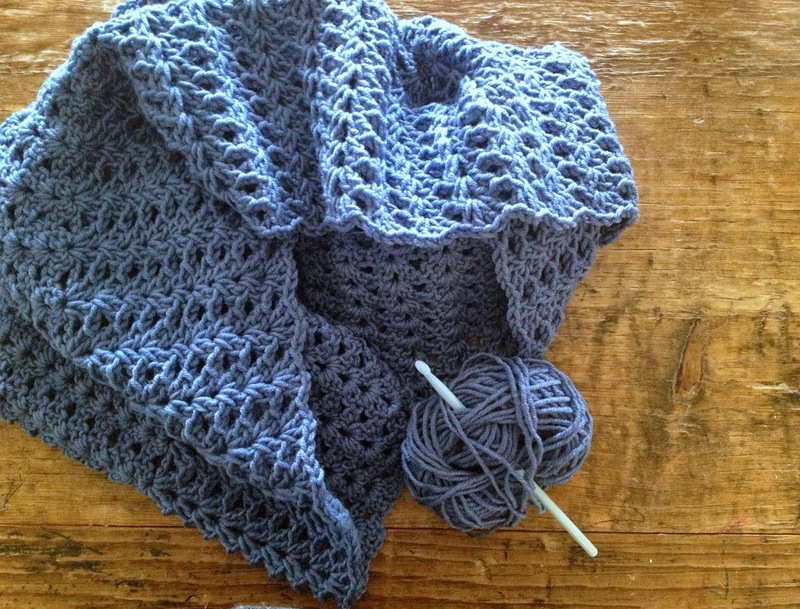 I can knit but not crochet, maybe I should learn one of these days!